More than 2,000 players turned out to battle in Dominaria Limited; and Bernat beat them all. 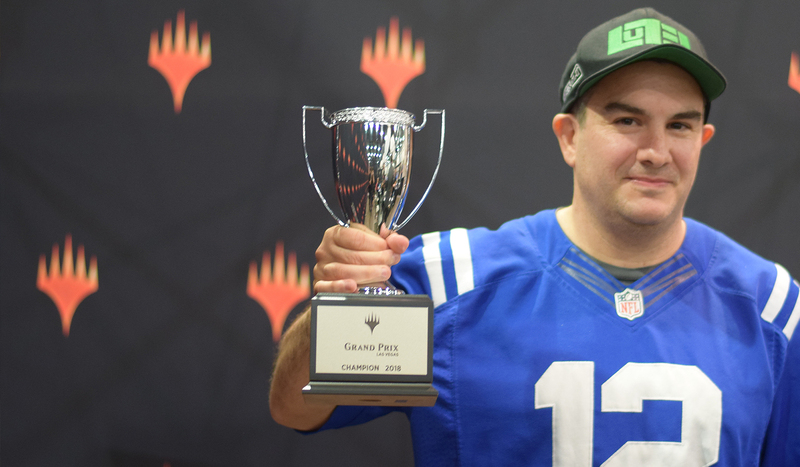 Grand Prix Vegas has been a spectacle from start to finish, and the Top 8 of the DominariaLimited event was no exception. The format has been hailed by many as one of the all-time formats, and several hundred competitors returned on Sunday to battle for the Top 8 and the trophy. It was a star-studed field, but in the end it was Michael Bernat who took down a star-studded Top 8 that included Andrew Cuneo, Mark Jacobson and Steve Rubin. Bernat’s Esper Historic deck took out Rubin and Cuneo in back-to-back matches before squaring off against Austin Mowrey in an intense finals match that was the perfect complement to theLimited Edition Betadraft that was the talk of the weekend. Congrats to Michael Bernat, the winner of Grand Prix Las Vegas. While hundreds of players battle it out for the Top 8 in the Modern Grand Prix that started yesterday, thousands more flocked to the Limited tournament that makes up the second half of this Grand Prix double-header. Dominaria took center stage as the newest set but also a return to Magic’s roots. Eight rounds of Sealed Deck today will give way to a pair of Drafts tomorrow, as players suit up Saprolings and legends appear from throughout the storied history of Magic’s original home plane to battle for supremacy. Everyone who finishes with at least six wins today will advance to the final day of competition here in Vegas, when we return on Sunday for the second Top 8 of the weekend. For all the Modern and Limited action you can handle – including a Limited Edition Beta draft Sunday night – you can follow live at twitch.tv/Magic.